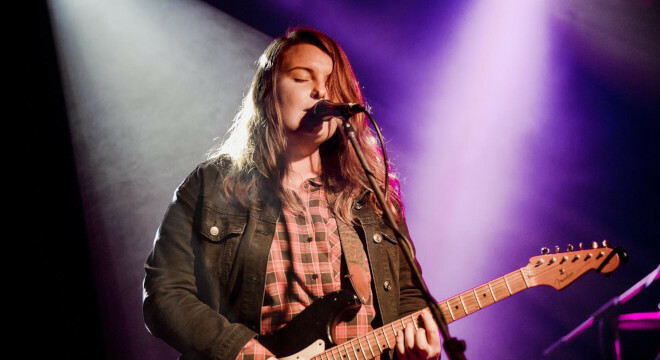 Kat Wilson’s career blew up with the release of her 2018 EP, We Are Bored, which features the WA Music Industry Association (WAM) Award-nominated track Ghost, initially released in 2017. Later in 2018, Wilson released follow-up single, Sitting Alone, and was nominated for even more WAM Awards in the ‘Best Blues & Roots’ and ‘Best EP’ categories. In this time, Wilson and her Trio have also sold out venues, toured across WA and nationally, and had their music featured on local and national radio stations across Australia, including triple J.
Kat’s unique and beguiling voice is entirely her own, no comparisons will prepare you for her sound. Combine it with songs that effortlessly fuse pop with coastal blues and just a dash of folk, along with the ability to shred on her guitar with the best of them and you may come close to understanding what Kat Wilson was put on earth to do. Best just go see one of her shows.